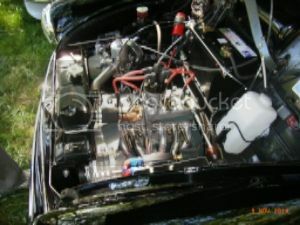 mike.perry wrote: You have an engine number, it may not be the same engine as you have now but the authorities do not know that. If you can enlarge the photo of the engine disc then an engraver should be able to copy it. Problem solved. I do not suppose that the authorities know what the engine number plate looks like, as long as they do not read this topic! mike.perry wrote: I do not suppose that the authorities know what the engine number plate looks like, as long as they do not read this topic! And I know also engines with a separate revision plate mounted on the backside. Who will tell this is not original? As for now,the car is registered without any issues. I anticipate problems if i decide to sell the car as i need to send in for inspection in order to do the owner transfership. During the inspection,the officer will check the chasis and engine number to see if it matches with the ones in the document. Problem with my engine is the engine number is missing. I was lucky enough that when i bought the car,the rules were not so tight and somehow the officer passed my car. Unfortunately,at present they are very strict and if certain numbers did not match as per documents,the car will be blaklisted and deregistered. I can let that happen as this car maybe the only less than 10 remaining in Malaysia and to date,i have spent in a lot of money restoring the car. I am hoping to replicate the brass plate and rivette it back the engine block.But before that maybe place it under the fender of my daily used car and let it age a bit before finally rivetting to moris engine block. Thats the brass plate i took out from my spare engine. On all of my USHM3 motors the engine number is stamped on the rear flange that the gearbox bolts to. There is your answer, tell them that it is between the engine and gearbox and would they like to remove gearbox to inspect it. 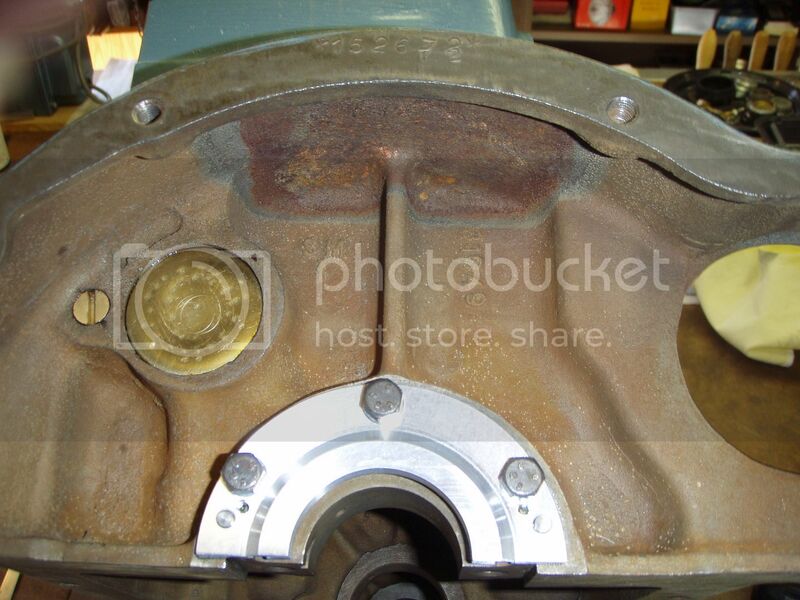 The engine number just above the water pump panel,is it originally punched over there or was it ere done at a later time? The village I live in has a Motor Club which owns a vintage Ford AA Recovery lorry. Many years ago now this needed licensing and the chap looking after it cut the number off an AA badge and rivetted it onto the bulkhead. That's been its number ever since!! As long as officialdom has a number its happy. Decide where you are going to have the engine number then copy the photos with the number in that position as evidence of the location. I suspect the number 123046 stamped on TvdWerf's motor may not be the original. 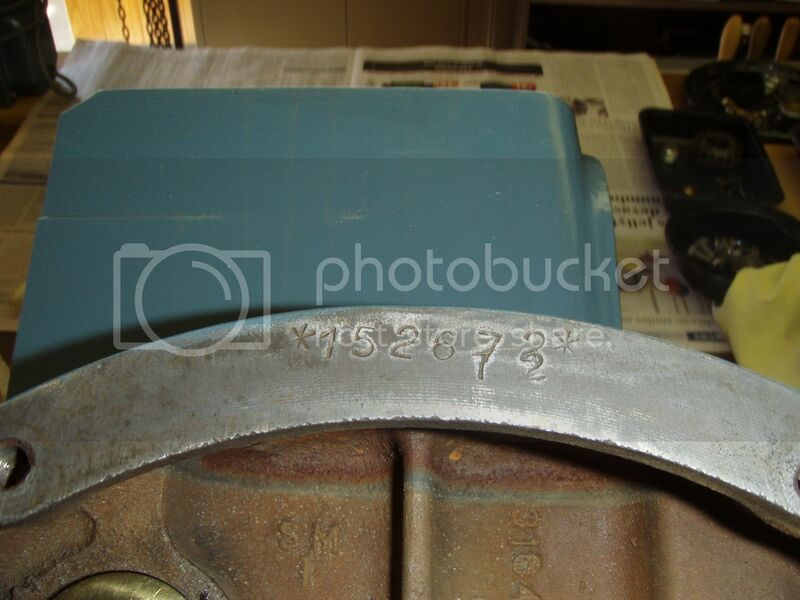 All of my numbers stamped on the deck behind the water pump cover were not aligned but 'higlypigly' as shown on my pics, and with an asterisk before and after the number. This was done to stop falsification by additions to the original stamped number. I have 4 engines here, 2 of them have the number on the front at this place, one of them at the mounting from the starter, and number 4 had a revision, so the number on top at the waterpump cannot be visible because of that reason. Number 123046 was just visible after the revision, I can understand the not visible one had more rust on the top. Looks like this one had a 2 digit also, just like my engines, and maybe later the complete number?